Blechexpo is the international trade fair for sheet metal working, which takes place every two years in Stuttgart. The 14th edition will take place on 4 days from Tuesday, 07. November to Friday, 10. November 2017. Since its inception, the fair will be held in conjunction with the Schweisstec, the international trade fair for joining technology, making it the world’s only event that is dedicated to both complementary technologies, sheet metal working and joining technology. Due to this fact the entire process chain of cold forming sheet metal working and related mechanical and thermal technology for cutting, joining and bonding is shown, including all relevant technologies, machines, equipments, peripherals, operating aids and C techniques. 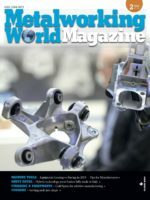 The fair is open to trade visitors only and invites all experts of the design of sheet metal parts, sheet metal assemblies and devices, to manufacturing, finishing and parts cleaning before surface treatment. In addition, the Blechexpo is not only a procurement platform, but also information and communication center for research, education, training and vocational ecucation system. The exhibition is accompanied by the Coilex, the technology park for the production of mechatronic components. Click here to register and get your free ticket! 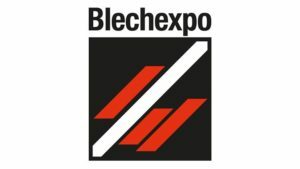 we want to visit the Blechexpo on thursday 9th of november.